The front, rear, and insides. 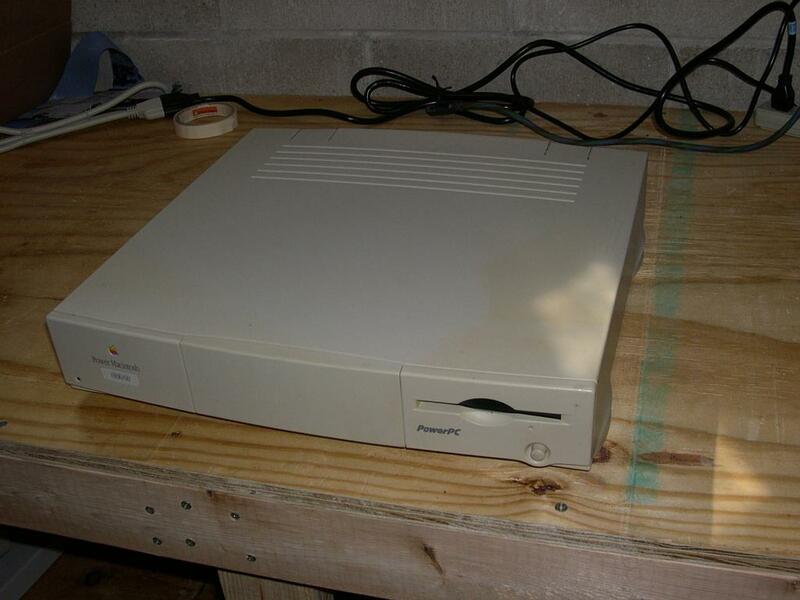 The PowerMac 6100 is one of the original PowerMac line up, packed into a Quadra 610 case, the 6100/60 has a PowerPC 601 processor clocked at 60mHz. 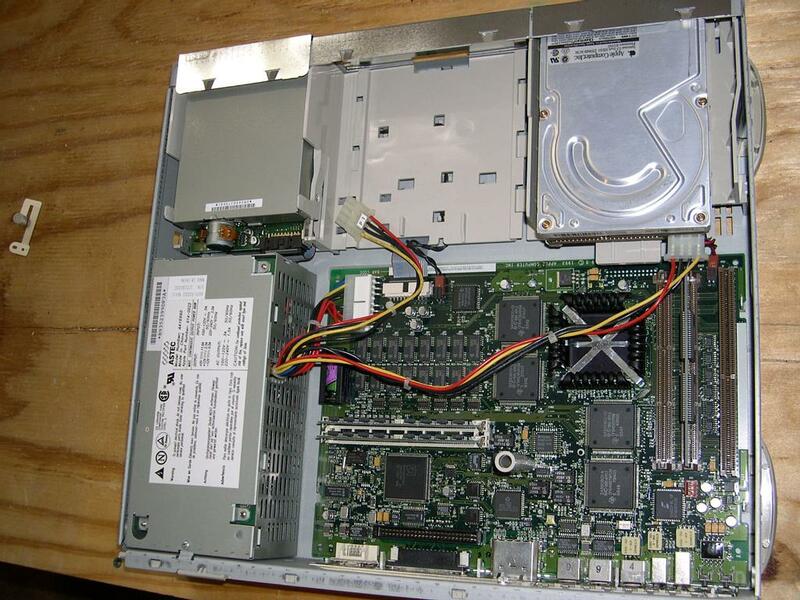 The machine came with 8MB onboard RAM, and is upgradeable to 72MB using two 32MB 72pin SIMMs. The 6100 should be able to use 64MB and 128MB SIMMs, but no guarantees on how any software running on the machine might react to these unsupported memory module sizes. As seen in the past, the 6100 is made less expensive by only a single possible expansion port, and using shared RAM for video RAM without VRAM slots. There is only a single PDS slot onboard, but using an adaptor (similar to the one I have for my Mac IIsi) you can add a NuBus slot by jumping off the PDS. As for dealing with the slower video, the usual solution is to add a PDS or NuBus video card, either using the optional AV module or a standard video card. The 6100 has two L2 cache slots, so you could also add some L2 cache to quicken the pace of the machine as well, which should overcome the slowdown from the shared video RAM scheme. 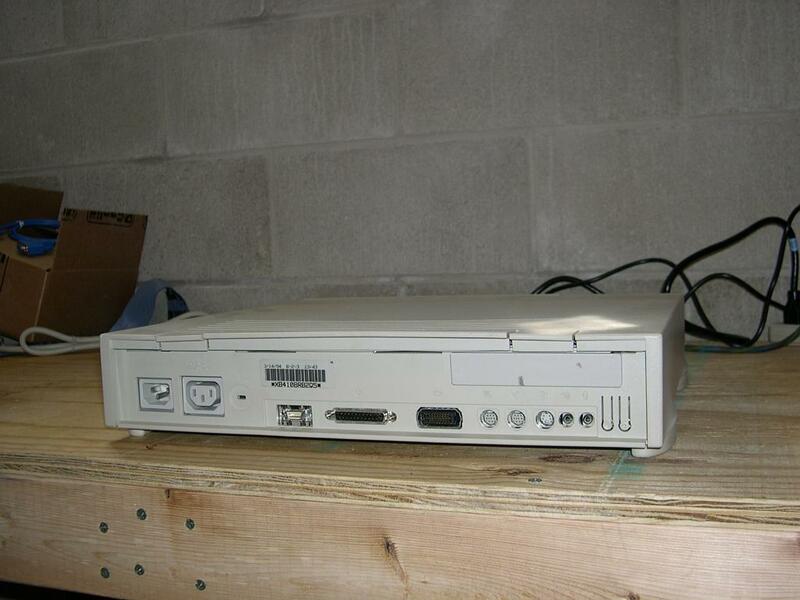 The 6100/60AV was released at the same time as the stock 6100/60, in 1994. The AV has the optional PDS AV module, which adds both video in and video out, and has 2MB of VRAM on the module. A year later Apple introduced the 6100/66, 6100/66AV and 6100/66 DOS Compatible variants. These are the same 6100 with a 66mHz rated 601 and clock, the AV module and a DOS Compatible card. As in my LC630 DOS Compatible, the compatibility card uses the same Cyrix 66mHz DX2 processor and a single 72p memory slot, accepting up to 32MB of memory. In the case of the PowerMac DOS Compatible cards, the card is mounted on the PDS slot, and can either use its own memory stick, or run off the system memory (with the expected performance degradation). While I'm quite fond of the pizza-box form factor of the 6100, the temporary change to the odd HDI-45 video connector is uncompatible with all previous Macs, and damned irritating. Not to mention the utterly daffy AAUI-15 header, which requires an ethernet dongle, instead of a nice and standard RJ45 ethernet header. Why? God only knows.